How Is AI Remodelling The Tourism Industry? Anyone that has ever spoken the words “Hey Siri” or “OK Google” into their phone knows how to use voice assistants. These play an important role in an ongoing technological revolution. The revolution of digital and artificial intelligence is affecting more and more aspects of our lives and businesses. It is being used to create bots for automation or to simply make sense of the billions of datasets that are being generated daily. Generally, when it comes to artificial intelligence it is all about making processes easier or better. 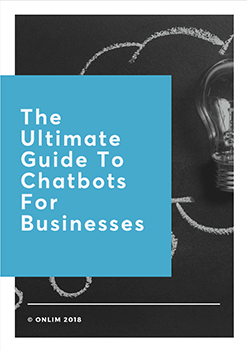 Especially while dealing with customer interactions the new possibilities of AI, most prominently chatbots are creating a more enjoyable customer experience. No service industry can overlook the need for top-notch customer support. The hospitality and tourism industry rely on the quality of their services tremendously, as it is often the main part of the products they are selling. That’s why businesses in tourism always need to adapt their services and find better ways to cater to the needs of their customers. Utilizing voice assistants and chatbots is an innovative approach to staying ahead when it comes to customer relations and services. Discovering and presenting information in an easily digestible manner are the core strengths of AI customer service systems. As in a more and more conversationally driven marketing environment both chatbots and voice assistants are perfectly suited for the needs of the tourism industry. Let us show you some of the most intriguing use cases right now. Amazon’s Alexa is a widely used voice assistant and its own developer platform allows for the creation of individualized voice applications called Alexa Skills. Heathrow airport in the UK created their very own Alexa Skill that can be used with every enabled device. Making it possible for passengers to get all their needed travel information simply by using their voice. The Heathrow Alexa Skill is able to find flight numbers or deliver live updates on travel itineraries. This is especially useful for an airport the size of Heathrow where flight details change consistently, and travelers needed an easy solution to get the latest information about their journeys. As the voice assistance has been a huge success so far booking functionalities and further services are being added to the Alexa Skill. The ski resort of Zauchensee chose new ways to market themselves and help tourists along their customer journey. Now, travelers can engage with the chatbot “Zauchi” 24 hours a day. Finding an easily accessible overview of the most relevant topics of their vacation and the region itself. Ranging from events to special offers and navigational assistance users can choose from a variety of categories and find a reliable answer to their question. Saving a lot of time and frustration while researching details of their trip. As a big plus the information is accessible instantly and there is no waiting time for a customer representative to get back to them via email. Questions are now being answered immediately and customers can focus on their vacation instead of never-ending research. The use of voice assistants is easy – making them more than suitable to become a basic addition to any hotel room. Instead of having to call the reception the voice assistant in the room can be asked. It doesn’t matter if the inquiry is about getting room service, tickets to the opera or simply to play your favorite song. All of these services are easily enabled by a voice command. Marriott hotels have partnered up with Amazon and installed the smart speaker “Echo” in some of their rooms. The first analysis shows that customer experiences have improved. In an attempt for even more integration, Marriott is testing more functionalities in their internal “Room Lab”. Trying to create the smart hotel room of the future that can be fully controlled by voice commands. “Sunny” is the digital assistant of the Serfaus-Fiss-Ladis region. It is helping tourists plan and organize their travels. Supporting them to its best capacities to make their preparations and stay as smooth as possible. The travel experience is made easier by presenting the most important information about infrastructure, travel topics, and events to the customers. Sunny can even deliver real-time weather forecasts. The chatbot is the focal point of any travel related information that helps travelers at every step of their planning endeavors. The use cases of voice assistants and chatbots are endless. Onlim is here to help you design and develop your very own solution that caters to your specific needs. In a collaborative effort, Onlim helps you define your core topics and your customers’ individual needs, to create the best possible AI-driven customer experience. Helping you to automate your processes and create a higher customer satisfaction rate with cutting-edge artificial intelligence enabled technology. Click here for more information about artificial intelligence, voice assistants, and chatbots. By Stephanie|2019-02-06T16:46:08+02:00January 31st, 2019|Categories: Automation, Chatbots & AI|Tags: AI, AI in Tourism, alexa skills, amazon alexa, artificial intelligence, automated customer service, onlim, serfaus-fiss-ladis, tourism, tourism chatbot, voice assistants, zauchensee, zauchi|Comments Off on How Is AI Remodelling The Tourism Industry?